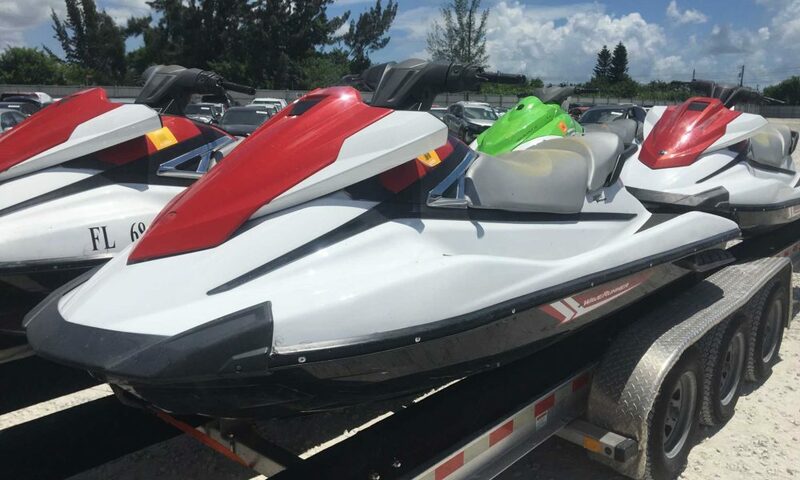 We have 3 – 2017 Yamaha VX High Outputs Cruisers. Large body WaveRunners, 3 passenger. High Output 1 liter engine 110HP, 60mph, clean titles, front and rear storage. Digital gas and speedo gauges. Hulls are super clean. They have I-ride system, brakes, reverse and folding rear steps. $5000 each trailer not included. Delivery avalible, Export and Local sale. This entry was posted in Featured, For Sale and tagged VX H.O., VX High Output, Yamaha VX by miller. Bookmark the permalink.